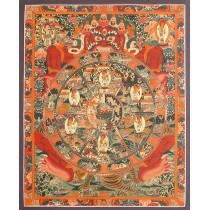 A thangka is a Tibetan Buddhist painting on cotton, silk , usually despiciting buddhist dieties, scene or mandala. 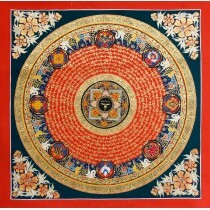 Thangkas are traditionally kept unframed and rolled up when not displayed. 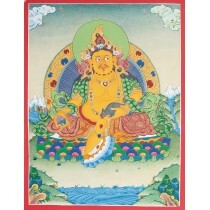 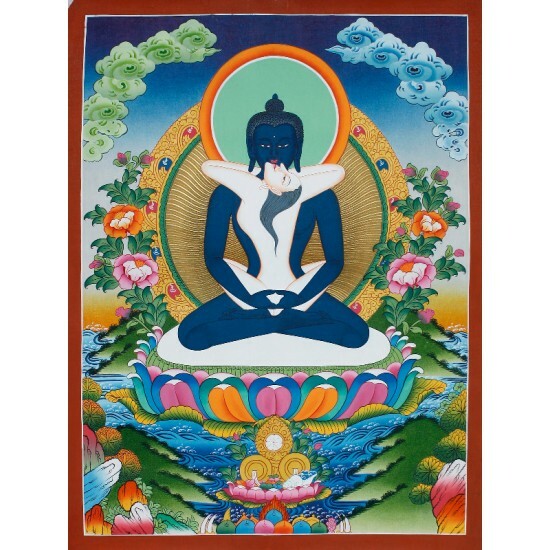 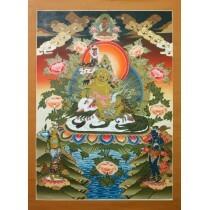 This thangka is painting by an Artist who has this field of experience from generations. 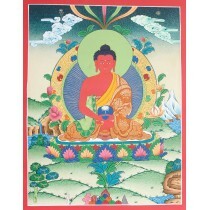 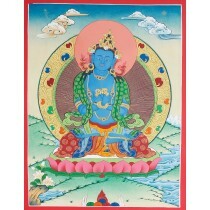 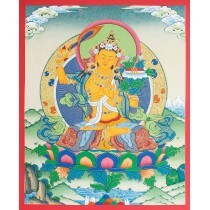 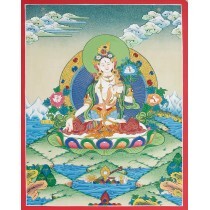 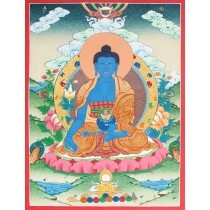 The thangka is painted beautifully with a clear linings and proper use of colour. 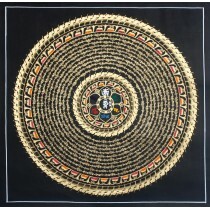 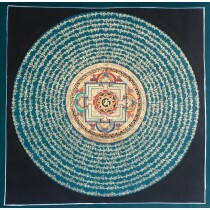 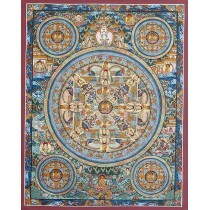 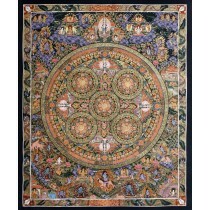 This thangka has the width of 22.5 inches and height of 29.5 inches. 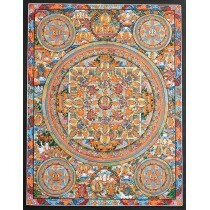 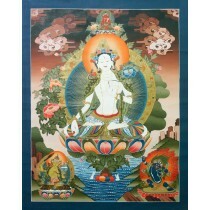 Artist have used poster colour with gold imitation to make this thangka a beautiful piece of art. 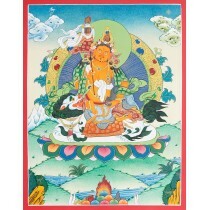 Thangka is a Buddhist religion painting representing and visualizing of deities.Thangkas are used as meditation tool which helps to bring one further down the path of enlightenment.Thangka serve as important teaching tools depicting the life of the Buddha, various influential lamas and other deities and boddhisatvas. 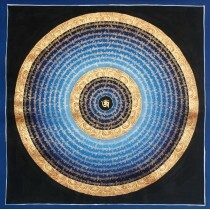 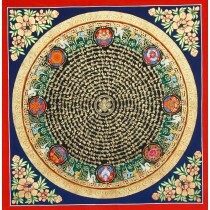 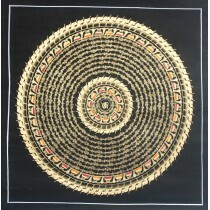 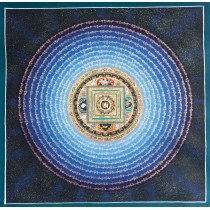 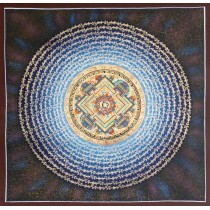 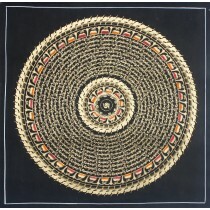 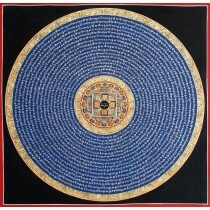 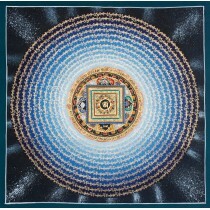 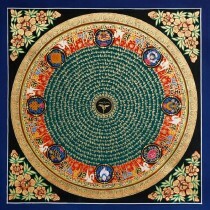 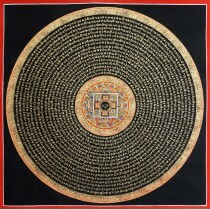 One subject is The Wheel of life, which is a visual representation of the Abhidarma teachings (Art of Enlightenment). 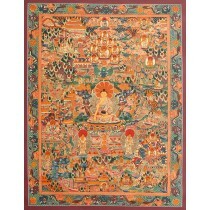 This thangka represents the Samanthabhadra a buddhist diety. 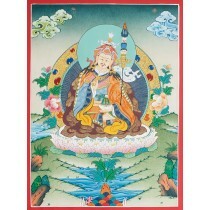 This Thangka painting of Samanthabhadra is showing the diety meditating on the lotus with his legs crossed closely locked with the soles of both feet visible and his both hands are placed on lap, right hand on left with fingers fully stretched and the palm facing upwards.